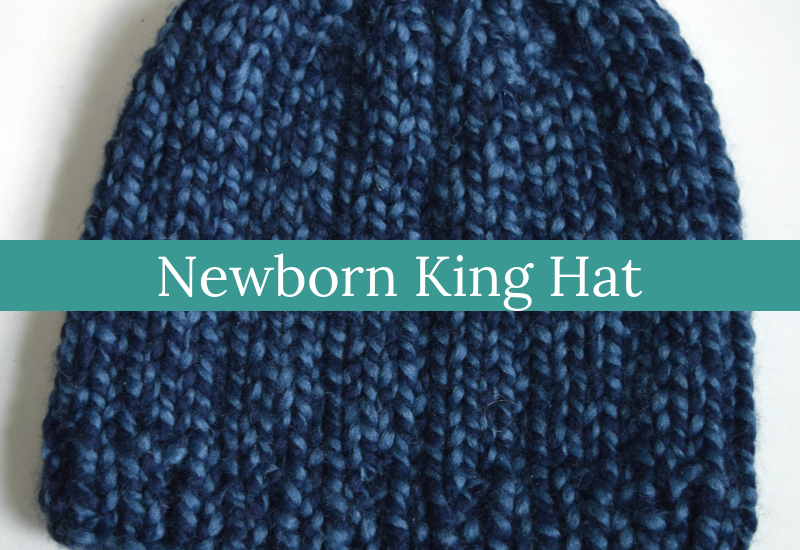 This is my husband’s favorite gift hat that I’ve made this year. It’s simple but the ribs still give it a little interest. And the simple stitch pattern lets the colors in the yarn take the stage. 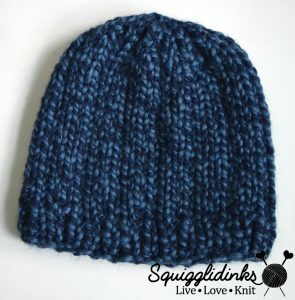 This was the first time I’ve found this color of Wool-Ease Thick & Quick, and I really love it. 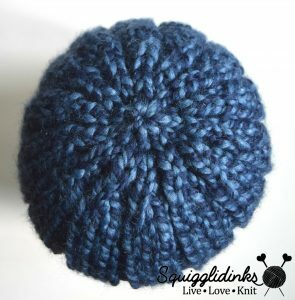 I think the marled look works perfectly with this hat pattern. It’s so basic, classic, and versatile–perfect for anyone on your gift list. 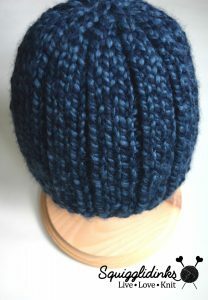 Yarns used: Lion Brand Wool-Ease Thick & Quick (super bulky (6); 80% acrylic, 20% wool; 106 yards/170 grams), 1 skein of Denim Twist. Round 5: p1, k3, repeat to end. Repeat Round 5 until hat measures 5.5 (6.25, 7.25) inches or 14 (16, 18.5) cm from cast on edge. Round 6: p1, k1, k2tog, repeat to end. Round 7: p1, k2, repeat to end. Round 8: p1, k2tog, repeat to end. Round 9: p1, k1, repeat to end. Round 10: k2tog, repeat to end. For Child/Teen and Lg. Adult sizes, Round 11: k2tog, repeat to end. For Adult size, Round 11: k2tog, repeat to last st, k1. Row 2: p3, k1, repeat to last 3 sts, p3.